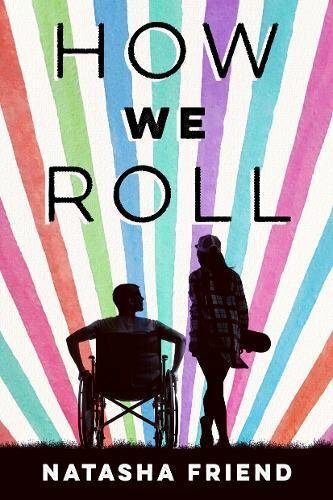 Posted on November 18, 2018 by Anmol K.
How We Roll by Natasha Friend is a coming of age story of a young teenager named Quinn who must deal with something very few have to: she is bald. As an eighth grader, she was diagnosed with alopecia, and lost all of her hair. Unfortunately, the kids at school made constant fun of her, and she slowly lost her closest friends. She got a fresh start when her family decided to move in order to have her brother Julius, who has autism, attend a special school. In a new school now, Quinn decides to wear her wig permanently in the hopes that she will be treated nicely. Fortunately, she finds a group of girls who quickly adopt her into their friend group. In addition to these friends, Quinn meets a boy named Nick. Once the star football player, he lost both of his legs in a car accident. In the grueling recovery process, Nick has become silent and recluse. However, Quinn and him make an unlikely bond that is strong enough for Quinn to reveal her secret and for Quinn to keep pushing Nick to the road to recovery. With a beautiful ending, I would say that this book is for anyone looking for a touching story. Personally, I enjoy novels with either fantasy or adventure, but this one was a great contrast to my typical repertoire. Quinn’s personality was real; one could feel her happiness, anger, success, and fear. Her character was like any other teenager trying to fit in among her peers, and her ability to forgive her previous tormentors took a great deal of maturity. The friendship between her and Nick also showed how she grew as a person. In the novel, Quinn’s family was the backdrop for the story, and it was beautiful to see her interacting with her parents and little brother. Overall, I would recommend this book for anyone looking for a feel-good read. How We Roll by Natasha Friend is available for checkout from the Mission Viejo Library. Have you ever thought of having a special ability to find bodies? Well, the first book in the series called The Body Finder by Kimberly Derting is an intense mystery thriller about a 16 year old named Violet Ambrose. Violet and her best friend Jay Heaton are both juniors in high school and she has fallen for him. Jay knows about Violet’s special ability to find bodies and “echoes” ever since they were little. When Violet was a little girl, she had the ability to find and sense dead animals near her and also figure out who killed them. When she senses someone who killed someone she calls them echos, which are sounds or visions that grab her attention. During the summer, Violet and Jay went to a party at the lake and she discovered a human body for the first time. Later on, she found more missing girls and she tracks down the murder with the help of Jay. Jay and Violet’s family are both worried about Violet meeting the man who has been killing the missing girls and it’s very shocking and suspenseful. But, you have to read the book to find out what happens next. I think this book was a good read because it was entertaining to read with the suspense and thriller plot. It is an interesting book and I liked how the book involves solving a mystery with a character with special abilities and a bit romance included. Also, I liked how the chapters included the serial killers point of view. I recommend this book for teens who like mystery books and wants a good book that’s entertaining. The next book in this series is called Desires of the Dead and you can find out what happens next. 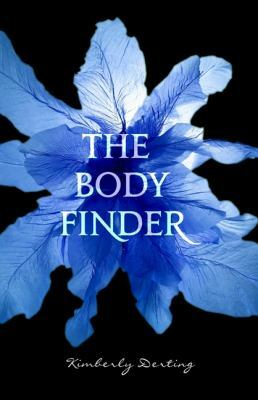 The Body Finder series by Kimberly Derting is available for checkout from the Mission Viejo Library.